Compare actions with results! Find patterns in your training that inspired success for you and your horse. Share your position live from the saddle with your close ones. Let them follow you until you’re back safe. 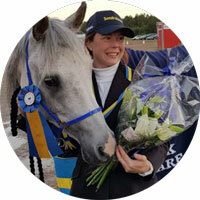 Plan and organize your riding together with your team! Check out what's happening at the stable and adapt! Let your co-riders, coach and veterinarian connect to you. Get notified about what happens even when you are not around. "This app shows black on white how much you have exercised, no excuses anymore among my students!" "Being able to see how my fellow riders exercise gives me not only safety, but it is also very fun to see the training without being there"
"Amazing that you now can see pace, distance and training statistics in the same place!" 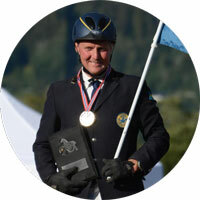 With great courage and passion for the equestrian sport, Equilab is expanding the world for equestrians. We believe that the world’s most dedicated athletes deserve pioneering solutions born from their own words and wishes. Therefore, we will not settle before we have done all we can to help you reach your goals. We have so far made it possible for riders to deepen the connection with their horse by making hidden information about their trainings visible. 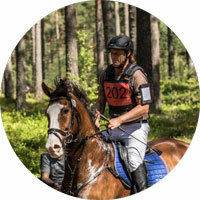 By using Equilab you get a detailed summary of every hoofbeat your horse has taken. Use it as the powerful insight it is; to become better, to notice differences, reach goals and have full control over your training pattern which you can share with your team. We are building something big for equestrians from their own wishes. Do you have aspirations in the saddle? We have aspirations to help you reach your goals. Welcome to join the journey.